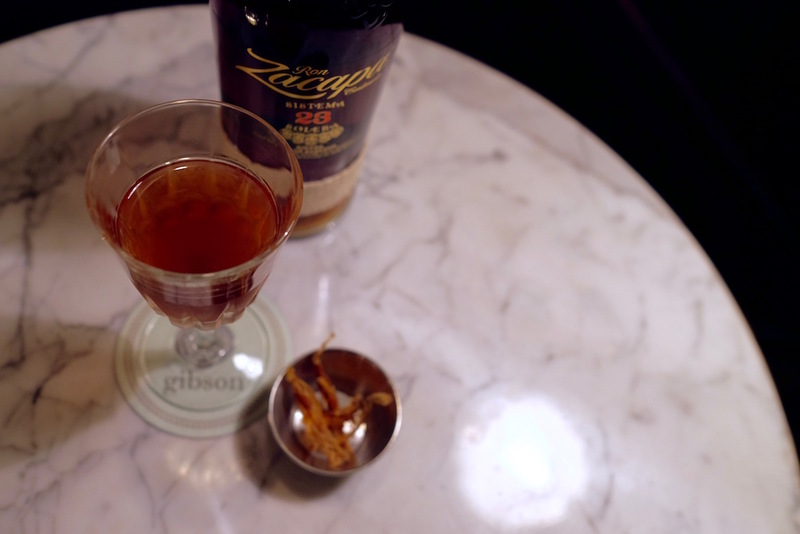 Gibson celebrates a year of achievements with a collaborative anniversary cocktail menu that reaches across continents. When Jigger & Pony Group’s flagship bar Jigger & Pony first opened its doors over four years ago it set a standard in the Singapore’s nightlife scene many cocktail bars that followed aspired to. But its younger sibling Gibson is already threatening to steal some of its thunder. 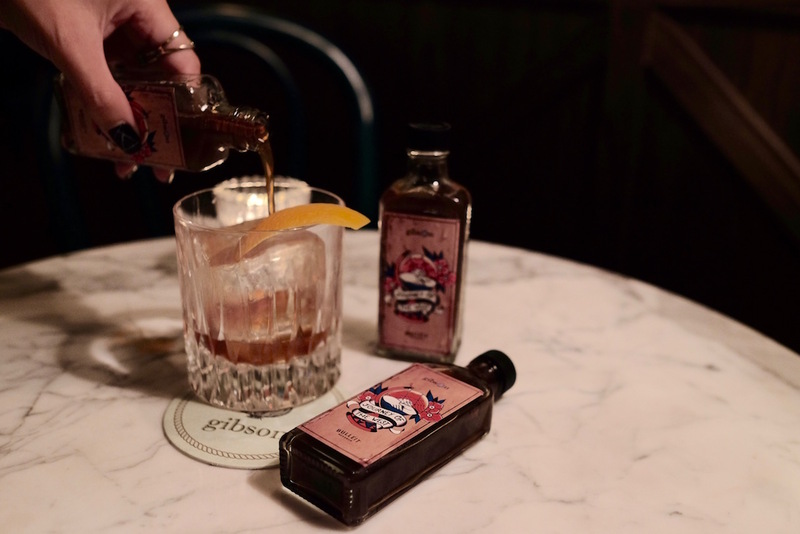 Since its official launch in September 2015, Gibson has gone on to sweep up several prestigious awards, including placing 22nd in the Asia’s 50 Best Bars 2016 rankings a mere 6 months after opening, landing the coveted “Best New Cocktail Bar” at the Singapore Bar Awards 2016, as well as finishing in the top four for “Best New International Cocktail Bar” at the Tales of The Cocktail Spirited Awards 2016. Yes, such dreamy technicoloured accolade is enough to make any and every sibling jealous. To celebrate those achievements – and its first anniversary, no less – Gibson has put together five special cocktails as part of its first-of-its-kind “World Collaboration Menu” that cuts across different countries and industries. Take for example the self-named The Gibson. 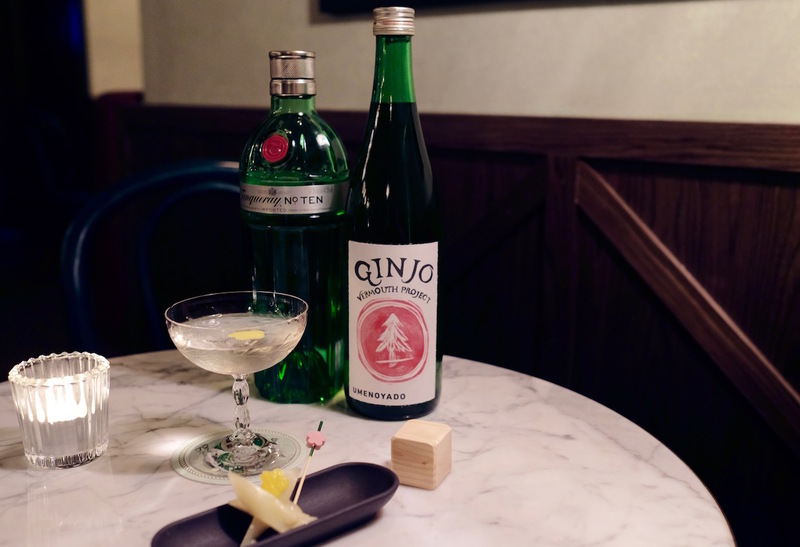 Jigger & Pony Group bar programme director Aki Eguchi partners Diageo Global World Class Winner 2015 Michito Kaneko of Japan’s Lamp Bar Nara to put together a martini that combines Tanqueray No. Ten Gin with a sake-vermouth specially commissioned for Gibson by Nara-based Umenoyado Brewery. A trio of condiments – pickled onion, pickled ginger and a smoked quail’s egg – prepared by Sushi Ashino, complete the presentation. How about Journey to the West, which Flagship‘s Jerrold Khoo and Yao Lu of Union Trading Company in Shanghai worked on? It’s a fancy take on the Old Fashioned, with Bulleit bourbon infused with Japanese roasted hojicha tea, a reduction of Guinness, cherry, vanilla and whiskey barrel-aged syrup. Oh, it’s even served in a bottle, complete with an oak chip kindly provided by carpenter Tim Chan of Bird’s Eye Studio – to help it along in its aging process. The bottle label’s even designed by tattoo artist Feroze McLeod of Hounds of the Baskervilles. 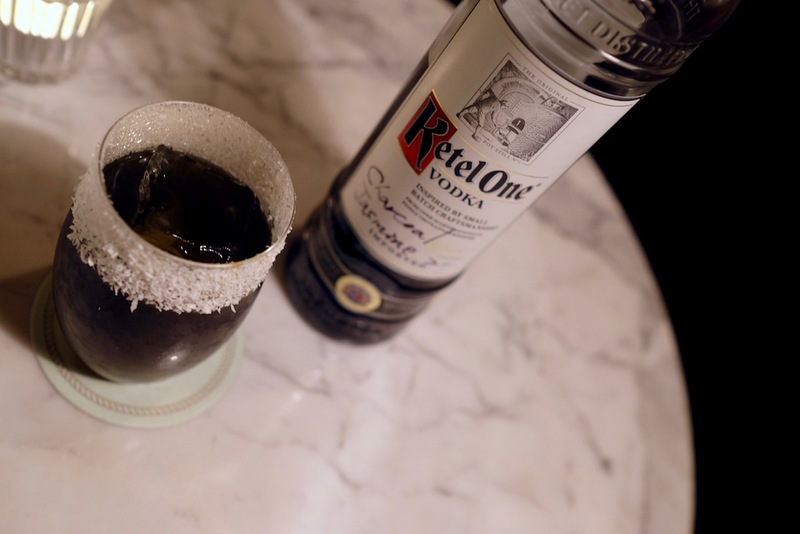 Then there is the Sling it Black, which sees Jigger & Pony’s own Diageo World Class Singapore Winner 2016 Boo Jing Heng and Diageo World Class Thailand Winner 2014 Neung Ronnaporn of Backstage Bar Bangkok contrive a Southeast Asian-inspired tipple that sees Ketel One Vodka that’s infused with charcoal and jasmine, coconut water, Thai tea tincture, lemon and agave put together for a refreshing yet full flavoured drink. Stuart Danker, formerly head bartender of Sugarhall, combines with Diageo World Class Australia Winner 2014 and 2016 Charlie Ainsbury of This Must Be The Place in Sydney for the spirit-forward Quick Draw. Ron Zacapa, fermented banana wine and Tasmanian sea salt are simple bed partners in this tipple, but sometimes simple is what we need. Stretching out beyond Asia is the Beachside Boardwalk, a breezy collaborative concoction between Sugarhall’s Rhyse Borland and Diageo Global World Class Winner 2013 David Rios. 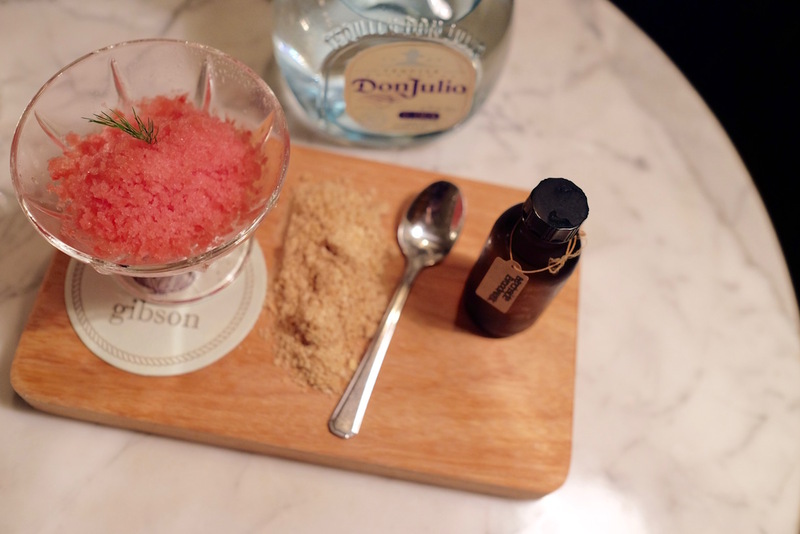 Don Julio Blanco tequila, Tio Pepe sherry, watermelon granita and orgeat syrup, a combination that will remind you of watermelon margaritas and bikinis on sunny beaches. Restaurant Mugaritz of Errenteria, Spain even graciously provided a kind of edible sand in case you didn’t get the picture. “We have always tried to push the boundaries of what we do here at Gibson, says Aki Eguchi. “With this World Collaboration Menu, I believe we have taken the concept to the next level by breaking geographical and industrial barriers and collaborating with experts of diverse disciplines, all the while ensuring that our customers enjoy the highest level of craft in our innovations,” he explains. With the collaboration menu, Gibson sets a bar for the Singapore nightlife scene that is going to be hard to beat. Until its second anniversary. Gibson is located at 20 Bukit Pasoh Road, 2nd Floor, Singapore 089834.